The Traveltime goes glam! Encrusted with rock candy glitter, this shimmering slip-on is a fancy version of the popular mule. 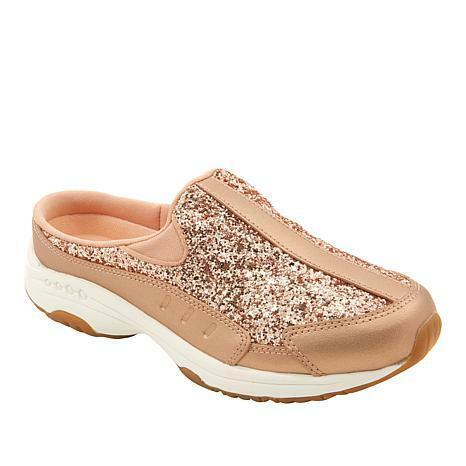 Perfect for walking and light activity, they provide cushion and arch support for all-day comfort, and they stay comfortably in place thanks to a deep heel cup that cradles your foot. So whether you're in jeans and a tee or getting dressed up for dinner, wear the shoe that's certain to make a statement. The size & width are true. These are comfortable, appear well made and are cute. Cant ask for more. I love these sparkly little cuties! The fit was great and they are comfortable. I've only had them for a couple of days so I have not worn them much. It is the middle of winter so I will probably wait till the snow is gone. I think I'm going to get a lot of use from them though . 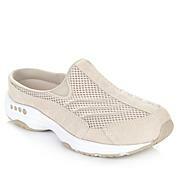 These shoes combine comfort and style. 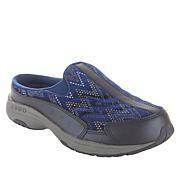 The heel cup keeps your foot in the clog and gives you confidence when using stairs or walking. People have complimented the shoes and I love them! 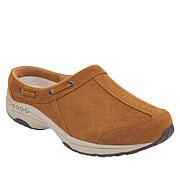 I have several pairs of the Traveltime clog and I LOVE THEM!! These are my first glitter clogs and they're really pretty with all the comfort I expect. The price was great, too. Great Shoe!! !